Head out no matter what's falling from the sky in UnderArmour 's UA Storm Bora Rain Jacket, a fully breathable precipitation proof and lightweight garment that packs down for easy storage. Head out no matter what&apos;s falling from the sky in UnderArmour &apos;s UA Storm Bora Rain Jacket, a fully breathable precipitation proof and lightweight garment that packs down for easy storage. 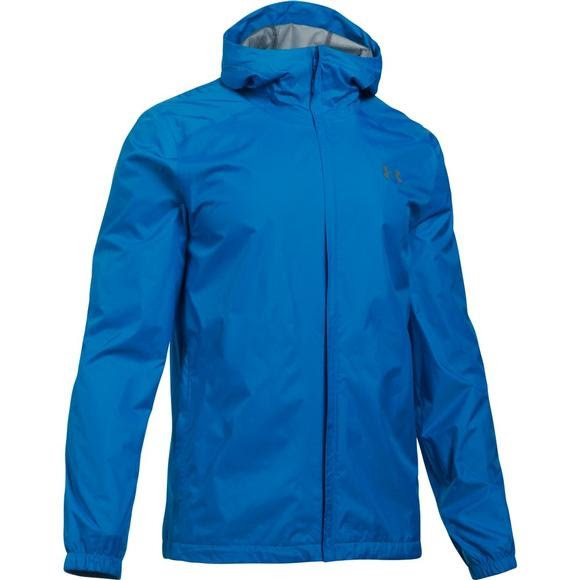 Under Armour&apos;s signature waterproof performance fabric that repels precipitation for all weather activity.